These Dominican nuns still rib the Cardinal about the time he mixed his zucchetto in their laundry. 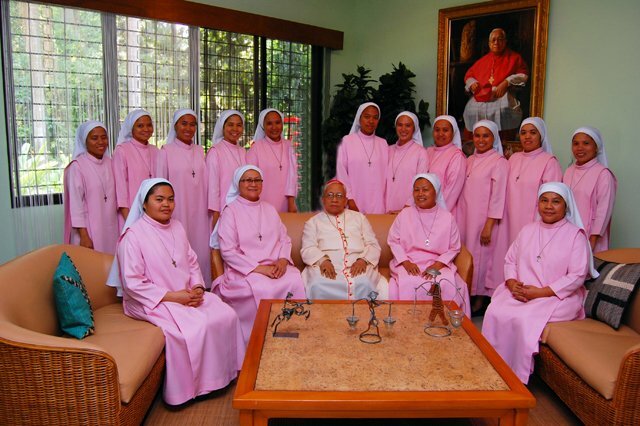 Well actually these are Mary Queen of Heaven Missionaries based in the Archdiocese of Cebu in the Philippines, along with Cardinal Ricardo Vidal. You can read about them here along with the source of this photo.